The standard process to apply for a job starts by searching for openings online and continues by sending an email with a resume and cover letter, but rarely ends with a face-to-face meeting between the applicant and hiring manager. "It's not what you know, it's who you know" and "You need experience to get experience" are common sayings among those searching for a job online. I'm sure that many people feel that they could get the job if only they could get in front of the person hiring, however, the person hiring doesn't have enough time to meet with everyone that applies. Sometimes group interviews will be conducted which focuses more on the personalities that have the ability to speak up in front of a crowd. Millions of people know that they are worth much more than their piece of paper exudes, but how can they get their point across? How can more people get in front of the hiring staff without wasting more of their time? There are articles that discuss the best month to apply, the best day to apply, and all joking aside, the best time of day to apply. "A new study by Bright.com, a job search site, finds that applicants were most likely to advance in the hiring process-as in, to be called in for an interview-if they sent in their resume on a Monday, as opposed to any other day. (Williams, n.d.)" There are articles, help-blogs and professional services that help applicants create resumes and apply in the right format. There are people that get paid commission for finding good candidates for jobs as well. But again, these people continue to look for resumes, these white pieces of paper with lists of experience and education. 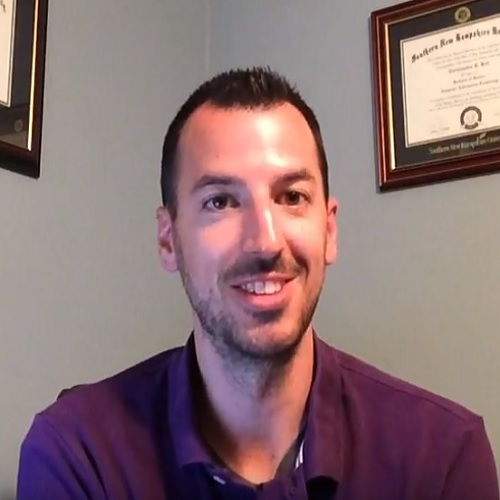 What happens when a professional helps a sluggish individual crate a perfect resume that awards him or her an interview in which they arrive in sweat pants and a T-shirt? Implementation and testing will be standard for the web design industry as none of the technology is going to be created from scratch. We can use website building software, database software, shopping cart software, and if needed, Blogging software that can be incorporated into all websites. Once all of the programming languages and software are incorporated together we can test the usability for bugs and correct them before launching. Users will need to login and upload videos while company employees will need to search for videos by title and description. SQL commands will be needed to search and retrieve from the database of videos. The proposal description to the problem is a website that allows applicants to create a short video describing their resume in their own words. Perhaps some will be more professional than others, just like resumes, but it's up to the individual to put in the effort. Each applicant will be instructed to follow a specific format related to a resume so that the company's hiring staff can fast forward to the interesting parts if needed. However, the main focus of the hiring staff is to see the person speaking, how well they dressed for the video, how professional it appears, how well they hold themselves and how well they answer the questions on camera. The hiring staff can always review the resume for notes when necessary as it will be attached to the applicant's profile. We aren't trying to reinvent the wheel of technology and software, instead we're trying to use the current technology and software to create a new and improved way to get an applicant's face in front of the interviewer. Users will be able to upload more than one video and even tailor their video to a specific job application. Quick searching, database software such as Microsoft SQL Express or PHPMyAdmin to store videos, titles and descriptions, and website builder technology to create a secure login process for users, are all emerging technology tools that can be used to innovate the industry with many more personalized job interviews. The proposed solution application will create a YouTube-like environment of videos. Applicants can then put a link to their profile in their job application for interviewers to easily access. Soon, those applicants that haven't yet created a video profile will fall short of the main criteria to be hired. Therefore, instead of completed destroying companies/websites such as Monster.com, this video job resume website will be an addition to it. Applicants can still apply to jobs with their current resume and cover letter, but will also have a link to their professional video in order for the interviewer to get a 30 second grasp of who they are as a person, how well they speak and dress, and even how their personality might fit in with the current culture of the company. The adoption plan that supports the successful implementation of the video resume website starts with a perfected project plan with specific dates of completion and milestones. Microsoft Project will be used to create a plan, utilize resources, and meet with stakeholders regularly to assure that tasks and milestones are being completed on time and on budget. Testing will be included in the project plan to assure that the website is free of bugs and secure enough to hold personal information. Managers will be sure to execute the plan and revise it as needed in order to complete the project and implement the website with the currently available technology. Essentially, we'll be using technology to build technology. The methodology of building the website will be a continuous cycle of Plan, Execute, Track, and Measure. As we measure the results we'll want to make changes which will revert us back to the planning stage. 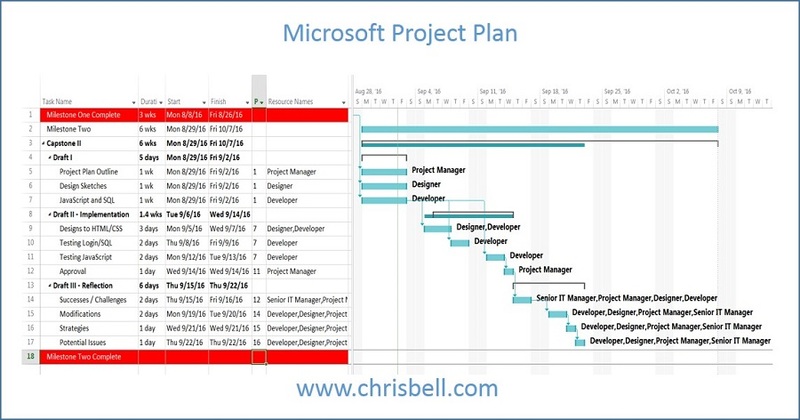 The framework will be to follow the Microsoft Project plan as close as possible, make sure the resources are available and on time to complete their tasks, and the project manager is keeping things in order or bringing things back to order. We'll have to follow standards that include up-to-date code (HTML5, CSS3, etc. ), laws and ethics, and adhering to the job industry as we'll create a new type of technology that isn't yet introduced. We'll have to monitor the videos to be sure people aren't using bad language or doing inappropriate things in relation to the job market. The beginning stages will warrant basic prototypes for the website structure (HTML), display and view (CSS) and SELECT-statement view (SQL). These prototypes start with hand drawings and develop into programming code after certain milestone approvals. As such, ISO (International Standards Organization) and IEEE (Institute of Electrical and Electronics Engineers, Inc.) are important standards for us to comply with as we develop the code, security and structure of the website. While all companies are unique in some ways they are also all similar in some ways, and the ISO and IEEE standards have specific processes that companies should follow in order to Plan, Execute, Track and Measure. In order to comply with the standards we'll need to prove that we're measuring our data and cyclically returning to the planning stage in order to continuously execute new plans. Companies that improve today are better than yesterday because the ISO and IEEE standards exude continuous improvement no matter what stage the company is currently in. Some specific tools that will be needed are Microsoft Project, Microsoft SQL Server Express, Shopping Cart software such as Zen Cart, McAfee Security software and hosting software such as GoDaddy. With GoDaddy we can also purchase an SSL certificate for a secure socket layer for users within the shopping cart. Together, these tools can generate most of the website, while our programming resources that will integrate everything into a single functional website for users to upload video resumes. MS Project will drive and execute the plan from beginning to end allowing some tasks to be completed simultaneously and others with predecessors. 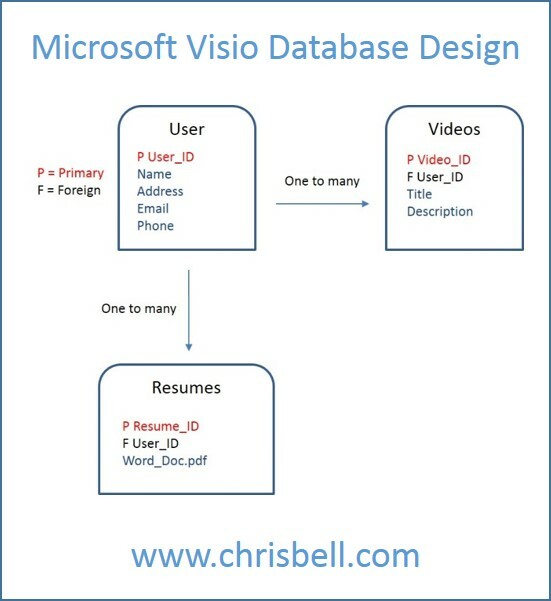 The most necessary functional requirement will include Microsoft SQL Server Express as it will need to hold videos, titles and descriptions (input) and then display the videos based on relevant search criteria (output). Website builders are much less of a requirement as we'll only need basic HTML and CSS code to create the website structure and display respectively. Performance requirements relate to the speed and accuracy of the database to retrieve and display information which means data integrity needs to be maximized while redundancy needs to be minimized. The SSL certificate is necessary in order to include the shopping cart functionality, and McAfee security is also needed to avoid the bulk of common hackers. Security is necessary because YouTube videos are easily embedded and shared on other websites which would not be the case for our website. Our user's videos are personal and need to first be private and then be available based on some kind of pass-code given out only be the user. The security to keep things private will be a difficult task but a requirement we'll take seriously. Continuous improvement is an initiative in both technology and business alike. As the website grows the amount of users the database and security will need to adapt to the growth. Website hosting and database software are both costed by the amount of space they use. Hosting bandwidth will need to be increased as increased amounts of users visit the website. Likewise, the database may need to not only grow in terms of more space for more users, but may also need to increase the amount of objects, classes and attributes to support the Tracking and Measuring portions of the Plan-Execute-Track-Measure methodology. Businesses always want to keep track of their data in order to turn it into valuable information for decision makers. Security can always be enhanced, but as more users create profiles with personal information hackers come sneaking up behind to steal the data in various ways. Therefore, as our website grows we'll need to increase security measures in order to avoid any type of hack. Compliance to ISO and IEEE are important for our website, like many websites. Doing things in the ethical, moral and legal format will always prove to work out better in the end. As we become more public we'll be analyzed with a fine toothed comb in order for a News Company to report something juicy for their viewers, and we don't want to be front and center unless it's for good reasons of compliance and ethical behavior. Also, we have to be very careful when it comes to copyright laws to protect our user's videos. They need to trust us to display their video with a certain amount of privacy while also allowing their video to be seen in front of potential employers. Login credentials, authentication and authorized members only, will be allowed to view particular videos. Perhaps, similar to Facebook-friending, a pass-code of some kind can be incorporated into the initial resume for the employer to use when viewing the video, and otherwise the video will not be publicly available. Therefore, the website will not be publicly search friendly. Only approved members will be able to login, view and search through videos, at which point they can request from the user to view their video. Once the request is approved it can be viewed and the user will know that an employer is at least somewhat interested. The standard process to apply for a job starts by searching for openings online and continues by sending an email with a resume and cover letter, but rarely ends with a face-to-face meeting between the applicant and hiring manager. The person in charge of hiring doesn't have time to review 100 applicants and meet with each of them even though it would prove to be a better process of hiring more rewarding employees. There needs to be a way for employers to view more applicants face-to-face and there needs to be a way for applicants to get their face in front of more employers without sacrificing too much more time. An Article titled, 10 Impressions You Leave Behind after an Interview, discusses appearance, body language, trust, likability, and how you answer questions. The employer is looking for all of these cues during the interview process but can only compare between a few interviewees because that's all the time he or she has. They would be able to compare more social cues between applicants if they could view more than 2-3 applicants per job title. We will be reporting to the stakeholders on October 9th 2016, but leaving room for problems and changes because we currently have a final completion date of September 22nd 2016 for the job application video resume website. The stakeholders already approved the first milestone which was an overview of the problem and a draft of a plan to implement the solution. Now the project manager needs to put the plan in place, set the resources to each portion of the plan, create a timeline including predecessors, and finally, start to execute the plan. Our stakeholders will be the Design Manager, Programming Manager and Senior IT Manager. The design team will start with rough sketches on paper to determine how the layout will appear on each webpage. They will focus on the HTML structure along with the CSS colors and box formats. Once the sketches look good on paper they can be computerized, again before programming. During the next week the design team will go through many sketches and alterations before deciding to move on. Again, as the blocks build upon each other the entire program will get confusing to test, so we'll use testing processes to be sure each piece of code works before we implement it. Later, we'll have to test the program to make sure that each piece of code works well with the rest of the code. For example, when a user logs in they should be sent to their profile and their information (profile image) should be selected from the database. There are many tests that need to be conducted to be sure all of the languages, not only work individually, but also work well together. The next stage is by far the most difficult, testing. Once the website has a beautiful layout and the videos are displaying via SQL commands, we'll need to spend hours looking for bugs and errors before we launch (for customer confidence). "The developer must test each module to make sure that it functions correctly at the time it is written or modified. Test values and boundary conditions must both be verified. Next, the module should undergo interface testing to check for functional errors. Only after the module works correctly can it be released for testing to the larger system. Early detection of errors saves rework and prevents a problem from becoming more complex in nature. As a result, error detection during the operation of a system incurs greater direct and indirect costs. (Microsoft, n.d.)"
GT Metrix is a free tool that can be used to check the speed of a website. Before YouTube was taken over by Google they had speed issues of finding and displaying videos to millions of people at once. GT Metrix quickly gets to the bottom of speed issues such as large image files and linking to too many external files. Since we'll be displaying numerous videos to numerous users we will need to make sure every page loads quickly and efficiently. The design team has completed the sketches and the programmers have designed the database in Microsoft Visio. Everything has been verified and approved to move into programming the code behind the sketches. The tasks have been completed on time which means our completion date and budget have remained the same. Once we complete the programming stage we'll move on to testing the interface in various ways. We'll need to test each programming language, each trigger, event, online form, user profile, etc. to be sure they function as requested and that the user interface is easy to use. The implementation will be complete once the user has a profile page, the main search page is set up, option buttons for searching are created, HTML and CSS are looking beautiful, and email notification codes are set up. Once these tasks are completed we'll have a functioning website run by database commands in which users can interact with regularly. We will start the project testing once we finish the implementation stage of programming code. We need to have multiple users filling in the HTML form that creates a new user in order to find errors and bugs in the programming code. What happens when the space bar is hit before entering an email address or password? Will that change the way the database interacts with that data? Errors will be written down and fixed later. Meanwhile, we'll also need to test the database for adding and displaying videos. We want to prompt users that a maximum size video is mandatory due to long winded videos, storage space and the speed at which videos will be displayed on the search page. There won't be too many tests needed to determine if the HTML and CSS function properly because the code is static and stationary. However, tests will need to be performed to be sure HTML and CSS display as wanted on each different type of browser and different size devices. Nowadays, websites need to be responsive to different browsers and devices whereby the widths and column layouts change through CSS programming. Therefore, the design will need to be tested for layout issues on each different possibility of device, screen width and browser (and version of each browser). The implementation of the project will be broken into three milestones, each of which need stakeholder's approval. The first phase will paper/pencil sketches for HTML/CSS and Visio designs of the database structure. Once approved, the programming will begin. The programming must go through vigorous testing and security enhancements before being completely approved, but still needs stakeholder approval. Finally, we should have a fully functional database driven website that holds Users, Videos and Resumes in order to display them when searched. It's always important to complete a project with a reflection of problems and issues that could be avoided during future projects. We will determine what went wrong, how it went wrong and document it so that we can analyze the data later. When common errors happen more than once it's important to come up with a corrective action plan to stop them from happening again, such as changing a process or creating a new process. There were major successes and challenges during this project that will be documented and assessed for future projects. First of all, the project was completed on time and on budget even though we had some issues along the way. The project plan was created with lag to allow for issues, new ideas, change requests and lengthy tasks. The stakeholders and management team had asked for us to revise the first draft of the project plan to specifically address each task along with specific time frames for completion. Once we revised it and used the concept going forward we were able to successfully complete each future milestone with their approvals. One of the biggest challenges in terms of tasks was the database to hold videos, along with displaying the videos quickly for users. Instead of loading 50 videos onto a single page it was important to only load the first 10 results through an SQL command. From there, a second page would load the next ten results and so on. Our first reaction to the incredibly long page-load time was nerve-racking to say the least, but we overcame the challenge. Another challenge was to limit the task processes to only the necessary needs of the project. Our team was taking personal responsibility for their designs and code as if they were building it for themselves. We had to keep them on task to create the drafts for the stakeholders to decide if it was complete or not. If there was further work to be done it would be up to them, not the task-resource. These successes and challenges can be used in future projects by making a much more detailed plan right away, even if it needs to be changed when the stakeholders view it. The creation of our video database will be able to be used as a template to save money on future projects. Keeping the resources on task can be difficult because they have personal emotions that affect their work ethic including their job security, their skill set compared to peers and their overall desire to create a piece of art worth talking about. However, project managers need to keep them on task, and an over-achiever can have negative affects when it comes to the project's time and budget. 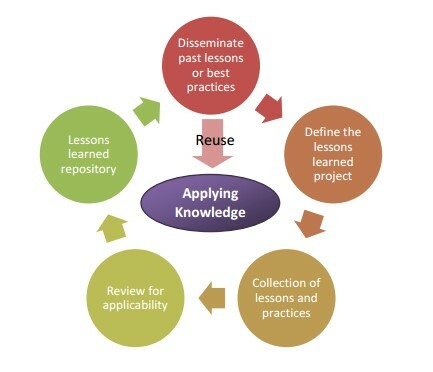 "Throughout a project's life cycle, we learn lessons and discover opportunities for improvement. As a key part of The Nature Conservancy's Conservation by Design principles, documenting lessons learned helps a project team discover both strengths and weaknesses. It provides an opportunity for team members and/or partners to discuss successes during the project, unintended outcomes, and recommendations for others involved in similar future projects. (Cohan, 2005)"
Even though our input is important, modifications come directly from the stakeholders. The strategy to use modifications to our benefit is to complete the tasks with the stakeholder's power in mind and to use milestones as checkpoints. Even if the milestone meetings are short we'll get the approval from the stakeholders, not as micro-managers, but as the decision makers that have been in close contact with the customer and/or end users. Once they approve the foundation we'll build the frame knowing that the previous work won't have to be redone. Future project plans will be modified to incorporate the lessons learned from this project creating a compounding interest effect on future projects. Actionable steps will be taken to incorporate the things we've learned. We need to make sure other PMs are using lag for unknown tasks. We'll create a report for our managers that discuss our successes and challenges in order for them to determine what we might need to do differently in the future. Perhaps a project itself will be conducted to notify each of the project managers of the month's problems, changes and also the successes. This would be actionable for each of the project managers to learn from each other and avoid simple mistakes that have already happened once. The potential issues are endless because IT projects never actually end. End users have questions, comments, and possible alterations, along with potential bugs, security issues and billing questions. To minimize these issues and to avoid system threats we need to schedule monthly maintenance tasks. We need to be sure the database is collecting and displaying as intended. We need to be sure the user videos are ethical and professional. We need to set up security alerts that tell us when something strange is happening, and also check the security regardless of alerts on a monthly basis. A research paper titled, Beyond Modelling, discusses the importance of continued support after the project is finished, "The most evident one was to improve upon the existing version of RIM rather than starting anew or moving onto a new platform. Other decisions involved careful considerations which are developed thereafter... - To avoid the common pitfall that little attention is usually given to the post-development phase of a DSS, these issues were considered early and made an integral part of the re-development effort. (Lacoste, 2016)." We need to schedule our resources for these tasks instead of simply waiting to hear about a problem. Waiting too long can severely hurt the website as users have little toleration for security threats and database problems. We also need to ask for support from our end users by sending them periodical emails about our website and service. Bad reviews will be difficult to hear but they will give us actionable advice to make modifications and alterations. Lacoste, M., & Powles, S. (2016). Original papers: Beyond modelling: considering user-centred and post-development aspects to ensure the success of a decision support system. Computers and Electronics in Agriculture.